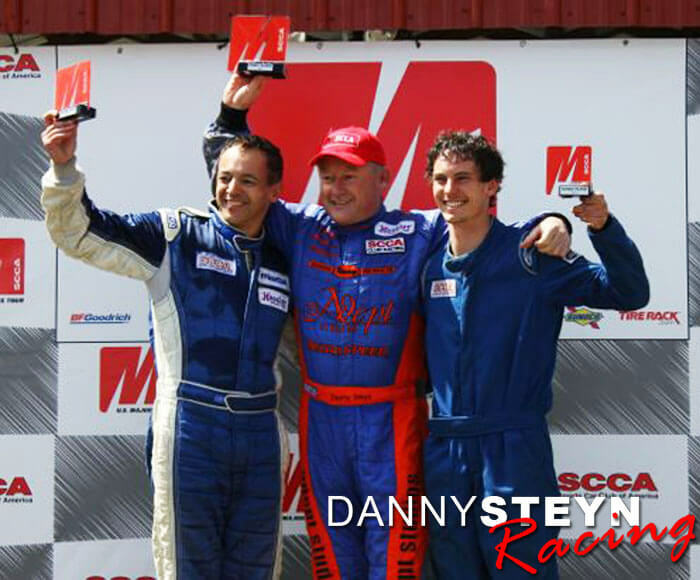 As the points leader in the Majors Eastern Conference Championship, Danny Steyn travelled North to attend the Double Majors race at Summit Point, the 4th race in the Championship. 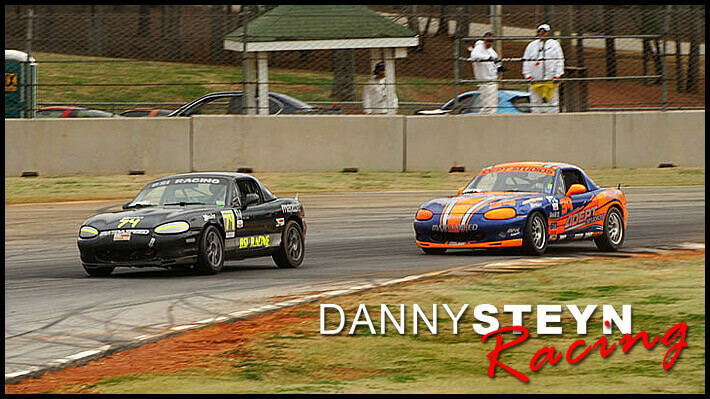 Steyn had only raced at this track once before in an SSM car and was unsure of how he would do in the Spec Miata class. 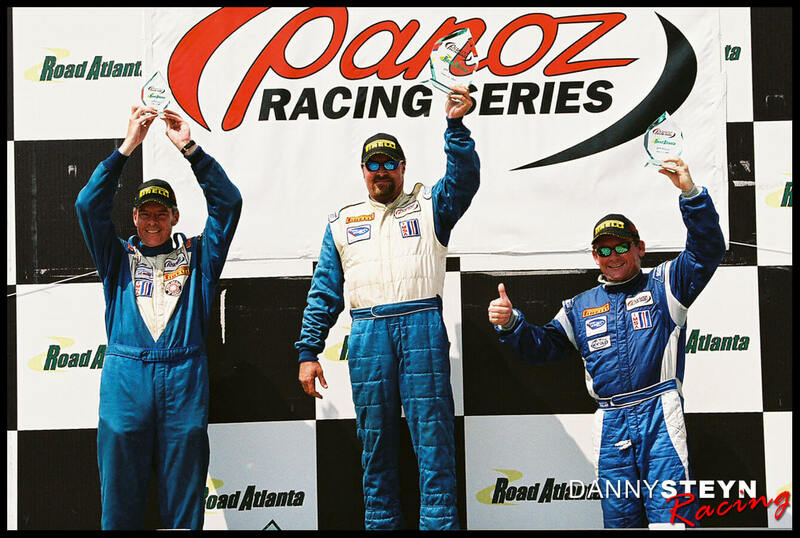 Steyn qualified on outside pole for both races alongside Todd Lamb, the 2010 NASA National Champion. behind him was the 2012 NASA National Champion, Yiannis Tsounis, as well as the Landy brothers and a host of fast local drivers. 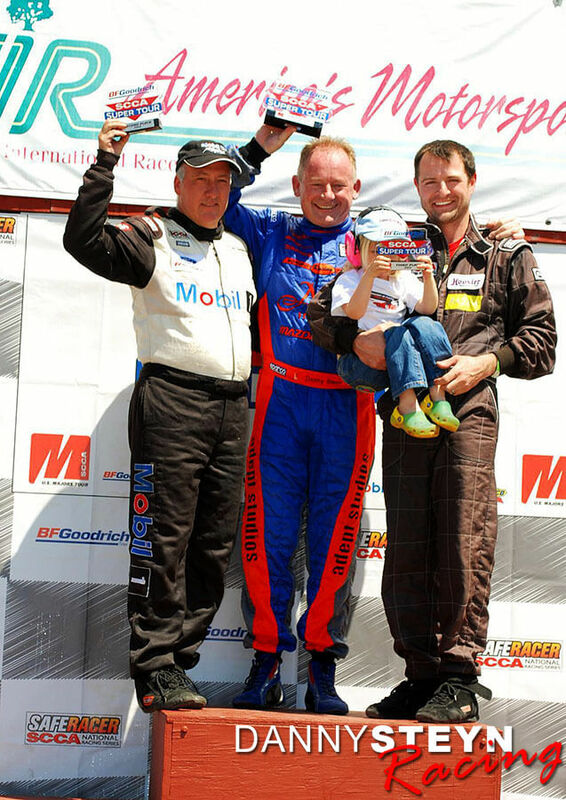 In Saturday’s Spec Miata Race 1, Todd Lamb put on a racing clinic and led flag to flag. Behind him Steyn and Sebastian Landy had an epic tussle with Steyn edging Landy for 2nd place, picking up valuable points in the championship. IN Sunday’s Race 2, Steyn took the win in convincing style with a 7 second win over Yiannis Tsounis after Todd Lamb had dropped out with mechanical failure. Rossini team mate Ralle Rookey finished in 3rd place! In the Eastern Conference Majors Championship, Steyn now has a commanding lead over 2nd place driver Alex Bolanos. So far Steyn has been on the podium in 7 out of the last 8 races with 3 race victories and four 2nd place finishes. 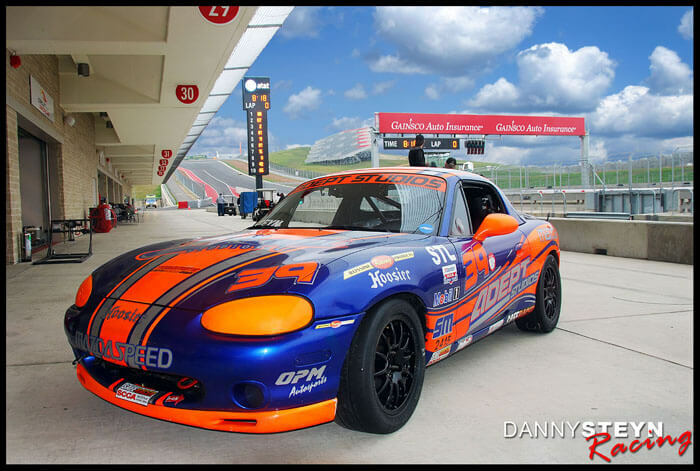 For the 2013 season YTD, Steyn is leading the Majors Championship, the National Spec Miata points race and the SE Division National Championship. 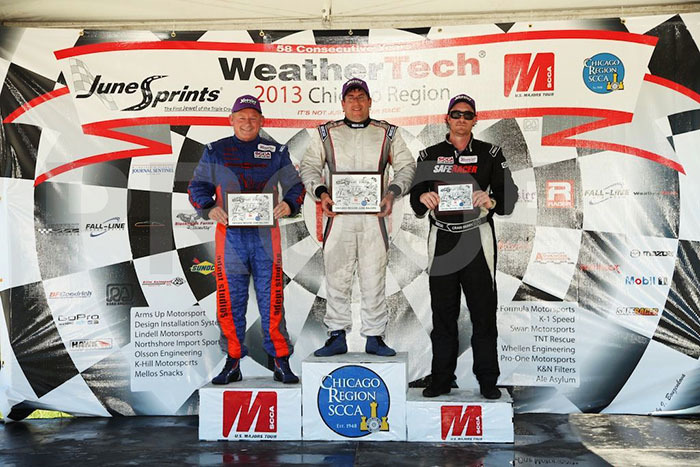 Summit Point Majors podium Race 2 – Danny Steyn (center), Yiannis Tsounis (l) and Ralle Rookey (r).